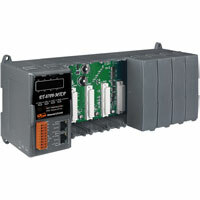 ET-87Pn-MTCP series is a Modbus TCP I/O expansion unit to expand I-87K series I/O modules over the Ethernet for industrial monitoring and controlling applications. It offers two Ethernet switch ports for daisy-chain topology. The daisy-chain feature allows ET-87Pn to connect in series to each other or other Ethernet devices. Users can easily simplify the cabling and save installation space with the feature. It is designed to be used in harsh and noisy environments, so the hardware is manufactured with wide power input range (10 ~ 30 VDC), isolated power input and can operate under wide temperature range (-25 ~ +75°C). There are more than 50 I/O modules supported with the unit, including analog input/output, digital input/output, DI counter modules. To simplify installation and maintenance of I/O modules, it provides many useful features, such as: auto configuration, LED indicators for fault detection, dual watchdog to keep alive, programmable power on and safe values for safety. Modbus is a very wide known protocol in the industrial manufacturing and environment monitoring fields. 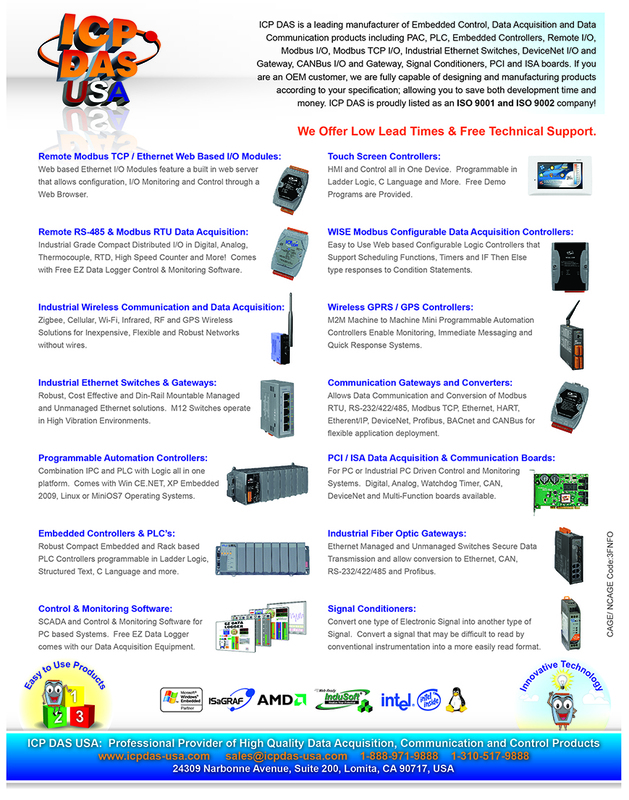 Many SCADA softwares, HMIs and PLCs have built in drivers to support Modbus devices. We also provide SDK on different platforms, such as Windows XP, Window CE 5.0/6.0, Linux, MiniOS7. Therefore, it is very easy to integrate remote I/O to customer’s applications.